DAVID LE/Staff photo. 3/31/15. 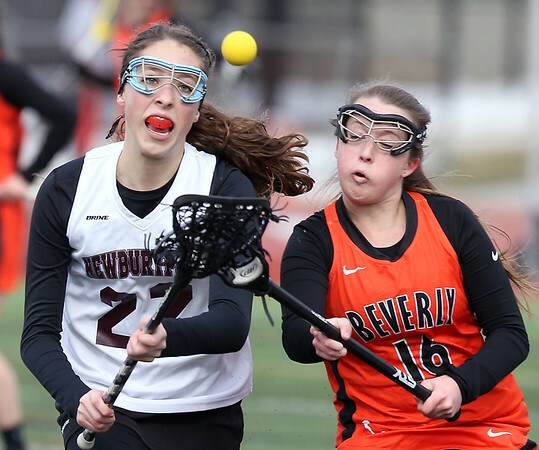 Newburyport sophomore Becca Turi (22) battles for a loose ball with Beverly's Darcy McAuliffe (16) during the first half of play.